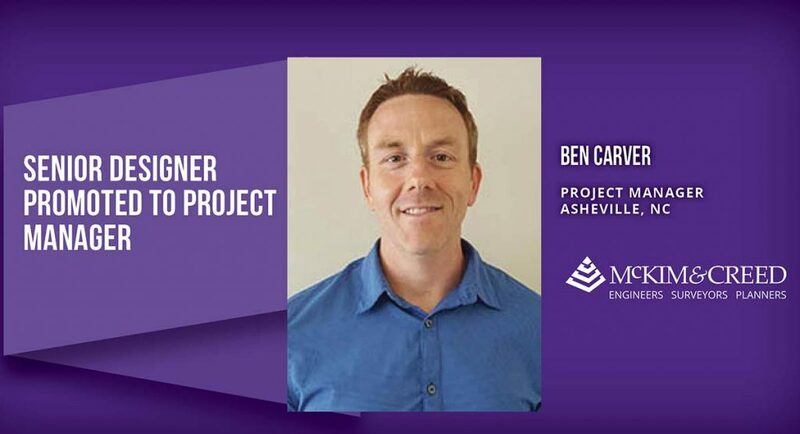 McKim & Creed is pleased to announce that Ben Carver has been promoted from senior designer to project manager in the company’s Asheville office. Ben designs mechanical systems for projects that feature LEED certification, energy recovery, solar energy, thermal storage, air and water distribution, and geothermal. He has significant experience working in healthcare facilities as well as a wide variety of building types including Universities, K-12 schools, hotels, churches, and office buildings. 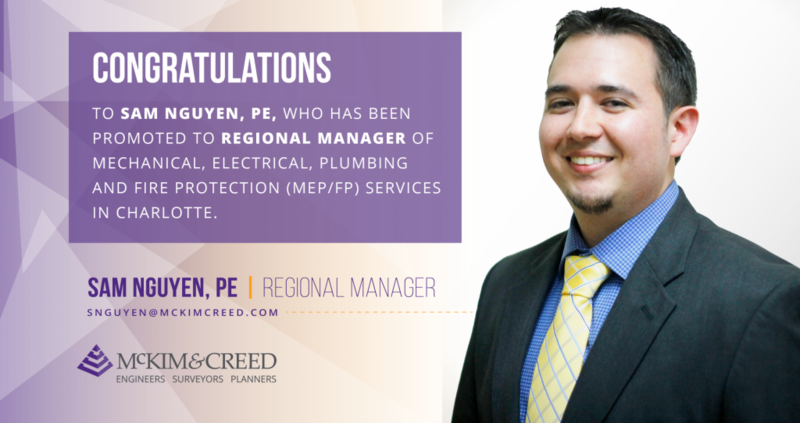 He has been an integral member of McKim & Creed’s healthcare team in Asheville that provides services for Mission Health Systems and Deerfield Retirement Community and has played a key role in over 26 healthcare projects in just the past year. 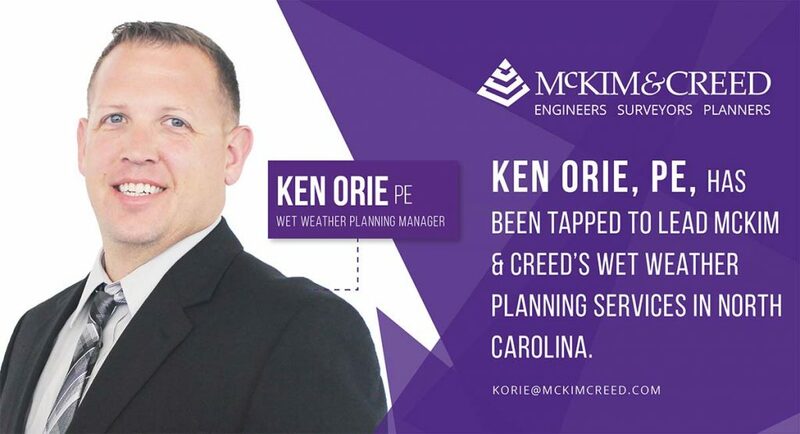 McKim & Creed established its Asheville office in 2013 when the company acquired United Engineering Group. 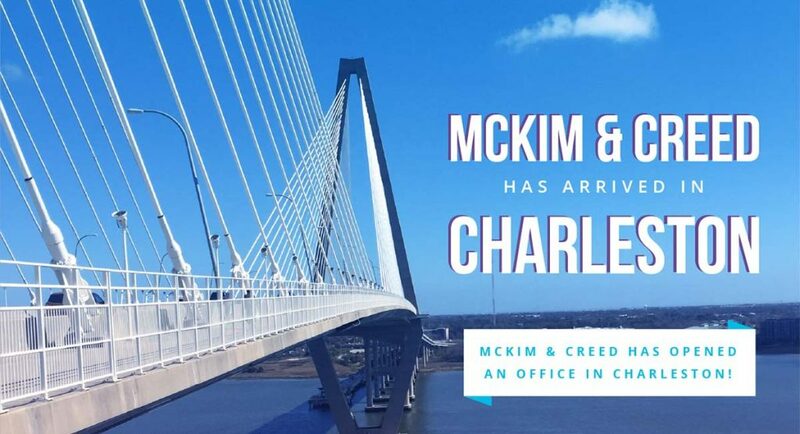 In addition to working extensively with Mission Health Systems, McKim & Creed has provided services for such local entities as the UNC Asheville, Western Carolina University, Buncombe County and Sierra Nevada Brewing.